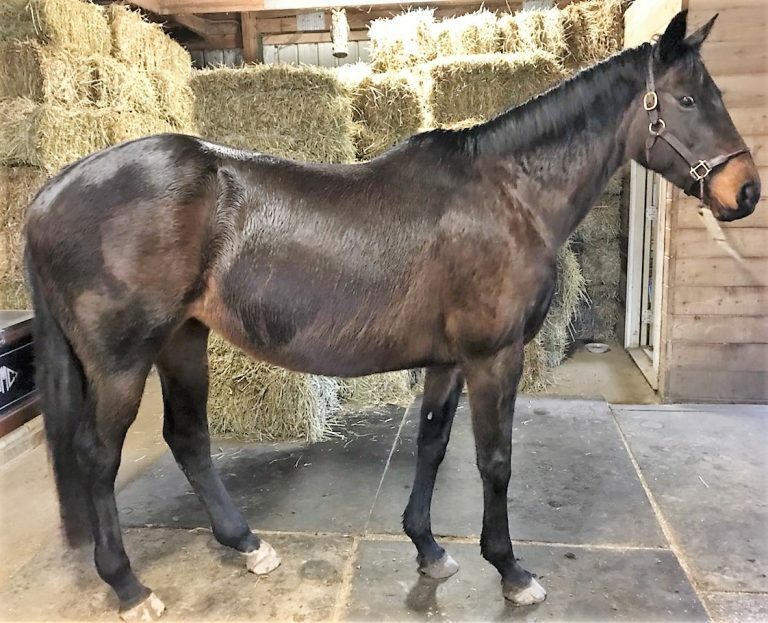 Asumpta is a beautiful 2007, 15.3h registered Thoroughbred mare looking for a home as a companion or light riding horse. Asumpta was born and raised by her current owner, who loves her to pieces but needs to downsize and wants to find her a good home. As a yearling, she was broke to tack and was backed as a 2 year old, with the intention of taking her to the track. However, it was discovered at 2-3 years old that Asumpta was not sound in the hind end. The cause was not determined, but it was so mild and intermittent that Asumpta was able to be trained enough to get her going under saddle. 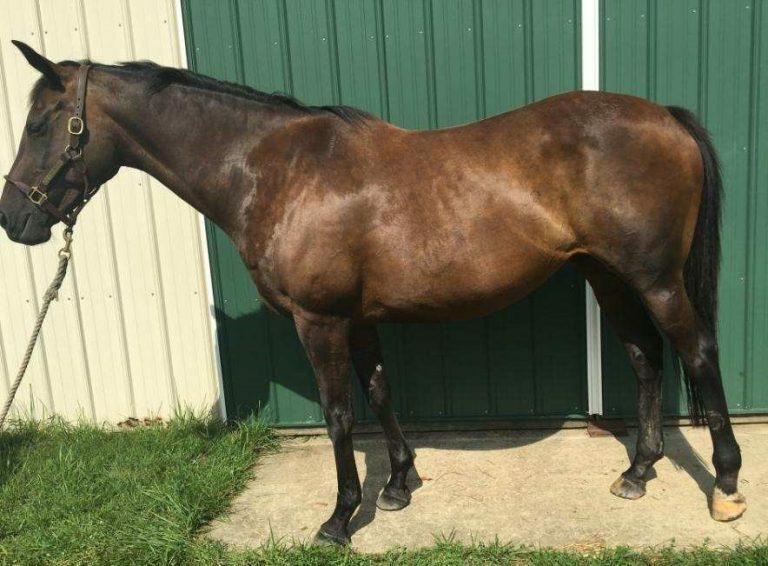 She is able to handle light work under saddle and her owner feels she’d probably make a great horse for slow rides in the ring or on the trail. She’d be suitable for an intermediate rider, or a beginner on lead line. Asumpta has a wonderful temperament and loves attention. She’s very personable and interactive. 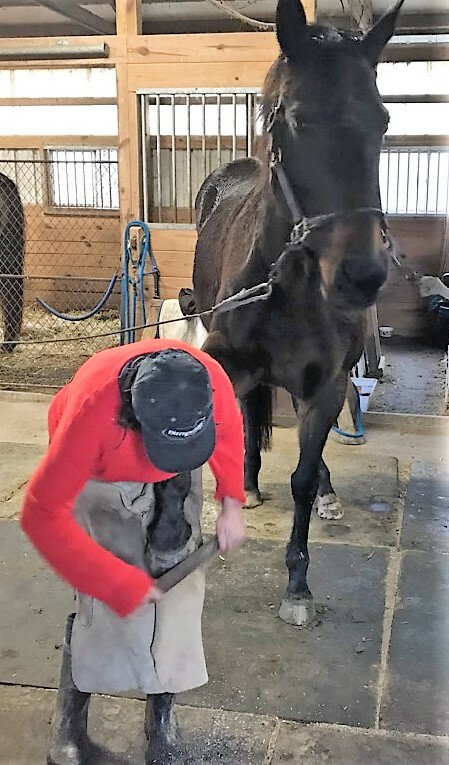 She ties, bathes, is good in a stall, behaves well for the vet and farrier, and gets along with both mares and geldings. Asumpta is currently managed turned out most of the day except for a few hours in the stall for her to eat her grain and some hay. She’s an easy-keeper and tends to get nice and plump on grass. She is UTD on everything but a Coggins. Consider giving Asumpta a great new home and inquire about her today!